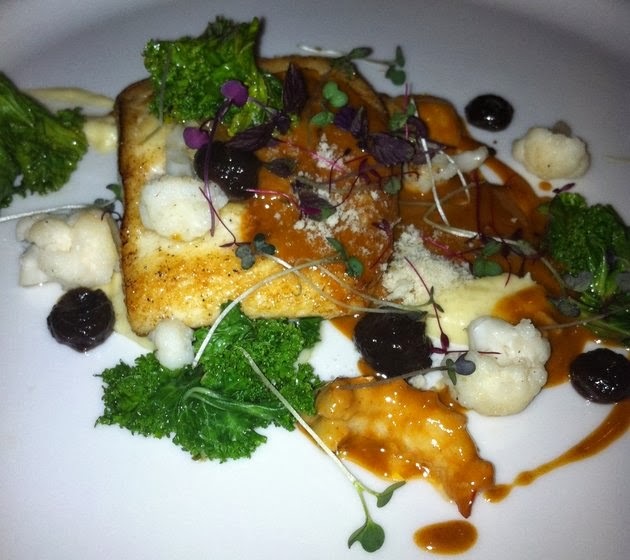 The Pepper Brasserie & Grill at 225, Clontarf road is situated over The Bram Stoker Hotel. It was difficult to locate and we passed it twice. After navigating our way through a group of lads just outside the door, from the hotel bar obviously, having a respite from their pints and a smoke, up two flights of stairs, we arrived in a modern spacious room, the new paint still lingering in the air. Tall bright red pepper mills stood "En Guard", like soldiers on each table, gigantic grey and bleak photographic images dominated the walls. On first impression , the whole decor is sterile and lacks soul. However, I'll put it down to the fact that this is a relatively new place . We settled in and received a warm welcome from Restaurant manager , Desmond McGovern . 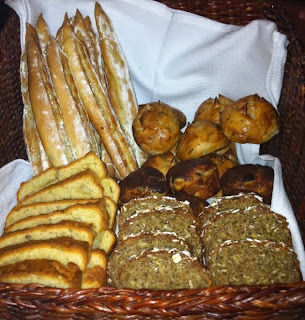 And I was really looking forward to tasting Peter Clifford's cooking, the new Head Chef of Pepper Brasserie . In Line to a steak house, there is the usual fare of steaks from New York Strips, Rib eye to Fillet, priced between €23 - €28.50. Not Cheap but they come with a side order of onions strings & confit mushrooms and a choice of mash or chips . Sauces from classic pepper to bearnaise. 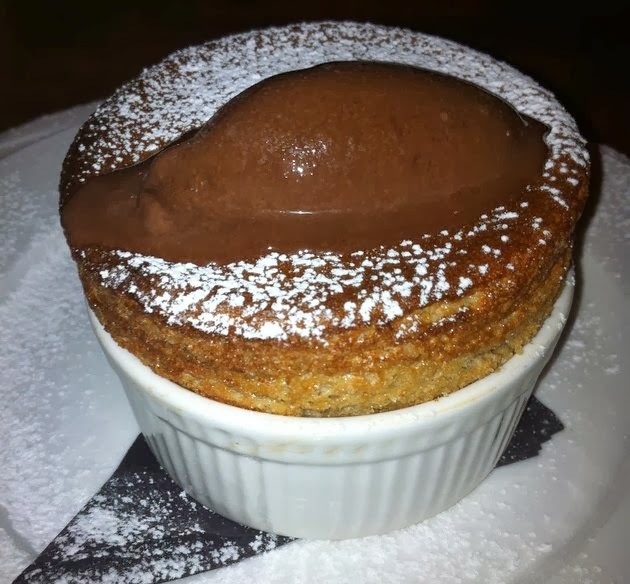 Evident also were a Classic burger @€16.95, Lobster burger @€26.50, Vegetarian option of Sweetcorn Risotto @€16.50, a choice of 5 - 6 starters, fish,lamb and chicken options were also present. We started our meal with a selection of delicious breads ,all made in house, ranging from Mini crusty french ficelle, Brioche to Salty bacon but we particularly like the Seaweed one, which we were told, is made from locally sourced seaweed. 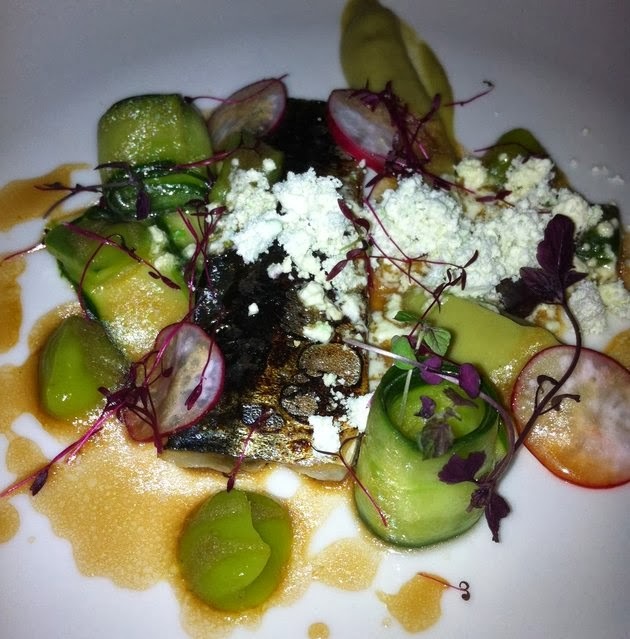 As a starter, we choose Grilled Mackerel, Pickled Cucumber, Avocado mousse & Ponzu dressing @€8.95 was beautifully presented and cooked. Curled up slices of pickled cucumber, radish disc and smooth avocado mousse added texture and balanced out the oiliness of the fish. The ponzu brought a welcome salty seasoning to the flavours. A very tasty starter . 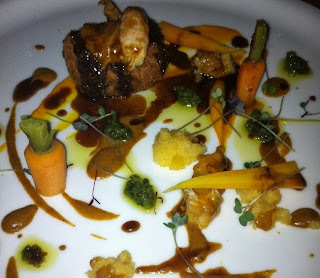 A Short Rib of Beef Croquette, lobster cream, Turnip & Gremolata @€9.50 was equally beautifully presented . On the side, sat a fat roll cigar of succulent rolled beef,the lobster cream and gremolata balanced out the robust flavour of the beef, slivers of turnips and carrots added colour and textures. 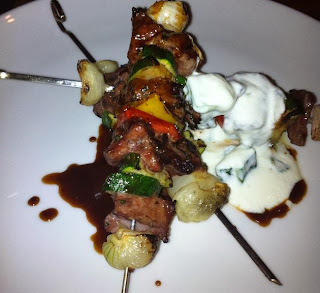 For mains, we choose Skewered lamb, Shallots, Courgettes, Peppers & Minted Yoghurt and Cucumber @ €22.75 from the Grill.Three generous brochettes sat on the plate.The lamb was beautifully cooked, it was moist and tender. Poured over the lot was some lamb jus and a minted yoghurt & cucumber raita, which brought a wonderful depth and roundness to the flavours . Next was a Roasted Halibut, Prawns, Cauliflower, Kale, Almond milk & its own roasting juices @€23.50. Crisp skin and flesh full of flavour. Crunchy kale brought a burst of rich greens to the palate, juicy langoustine adorned the plate, while the accompanying roasting juices was drizzled over this delightful and tasty dish. 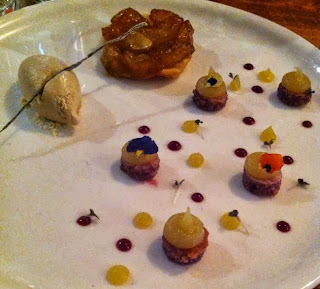 We shared a Pre Dessert of a Prune Souflé and bitter Chocolate sorbet. Light, fluffy and well risen, it was to die for. The sorbet adding this Hot & Cold sensation. It was pure decadence . For dessert, an Apple Tarte Tatin , Spiced ice cream & crispy yoghurt @ €7.00 didn't disappoint. Caramelised apple slices sat fan out on a disc of puff pastry. Not too sweet, they were perfect with the spiced ice cream as the slightly smokey cinnamon aftertaste of the ice cream reigned in the sweetness. Once again, the Hot & Cold textures were spot on. Mini Disc of red wine financier were topped with a smooth apple pureé. 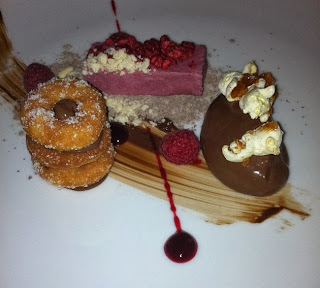 A Chocolate Cremeux , Raspberry parfait & Mini Doughnuts @ €8.50. The parfait was lovely and tart, the Cremeux didn't fare so well, but upstaging the whole lot were the sweet spongy doughnuts. Freeze dried raspberries and toffee popcorn completed the pretty picture . 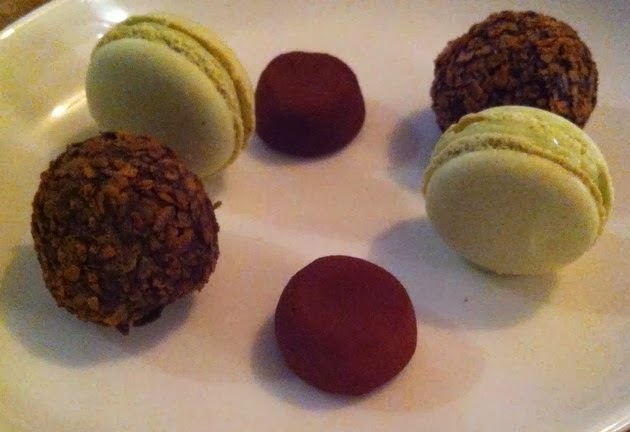 A platter of Petit fours, were Pistachio Macarons, Chocolate Praline and the highlight of which for me were the Clove drops . All in all, this was a very enjoyable meal.The clever additions made each dish shine with perfectly paired flavours and plenty of flair. Peter Clifford is without doubt a talented Chef with oodles of flair but the Restaurant itself as a venue, will have to do a bit more to command attention as a Culinary hot spot. It already has two of the main ingredients for success, A great Chef and a good Restaurant Manager who showed great passion for his work .